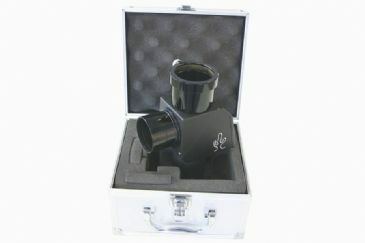 Buy LUNT Solar-Wedge / Herschel-Wedge for refractor-telescopes from our Hertfordshire UK based showroom or online with free mainland UK delivery. Herschel Wedges / Solar Wedges can be used to observe the sun with refractor telescopes in white light. ~95% of the sun light will be suppressed by the Herschel Wedge. The remaining 5% are dimmed by a fix installed ND3.0 strong gray filter. A polarizing filter can reduce the light to the desired level.